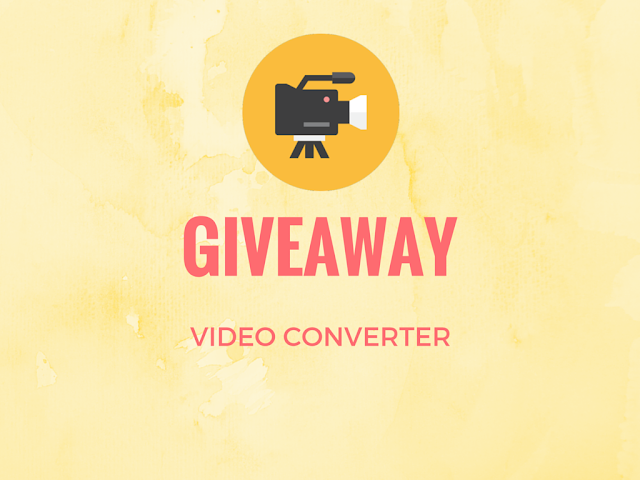 Are you looking for a HD Video Converter software that's extremely versatile? Look no further! This freebie includes WinX HD Video Converter Deluxe For Windows software that have so many great features. Not only can it be used to rip DVDs, it can also be used to convert and store wide variety of video formats in HD quality. There are many other HD Video Converter softwares available on web. However, WinX HD Video Converter Deluxe For Windows software is a premium software that is being offered for free for limited time. This offer is exclusively brought for fromdev readers. This offer is valid for (5 lucky winners) only up to end of Sep 2015. This offer is for lifetime license for one PC (no upgrades to software). Living in an age turning more and more mobile, we should make full use of this little gadgets. Good software and applications can help you to achieve that. WinX HD Video Converter Deluxe for Windows is one that can help you to enjoy HD videos wherever you are and whenever you want. What you need is only a device with power. support 410+ output profiles including Apple iPhone, iPod, Microsoft Surface, WP8, Android tabs, phones, etc. download 2160p/4K videos and pop MVs from 300+ video sites like YouTube, Yahoo, Facebook, Vimeo, Break etc. WinX HD Video Converter Deluxe, with over 370+ video and audio codecs, has been able to convert any (hd) video format to any other video format as per your requirement, e.g. AVI, MP4, MPEG, H.265, MKV, M2TS. It also supports 410+ output profiles including Apple iPhone, iPod, Microsoft Surface, WP8, Android tabs, phones, etc. This HD video converter is compatible with Windows 7, 8 and 10 and its Mac version is also available. For converting your favorite DVD movies, use WinX DVD Ripper Platinum to rip & copy protected DVDs. To meet the demands of downloading online videos for converting or further offline usage, WinX HD Video Converter Deluxe also supports downloading videos from almost all online video sharing sites, even downloading 2160p/4K videos and pop MVs from YouTube, Yahoo, Facebook, Vimeo, Break etc. 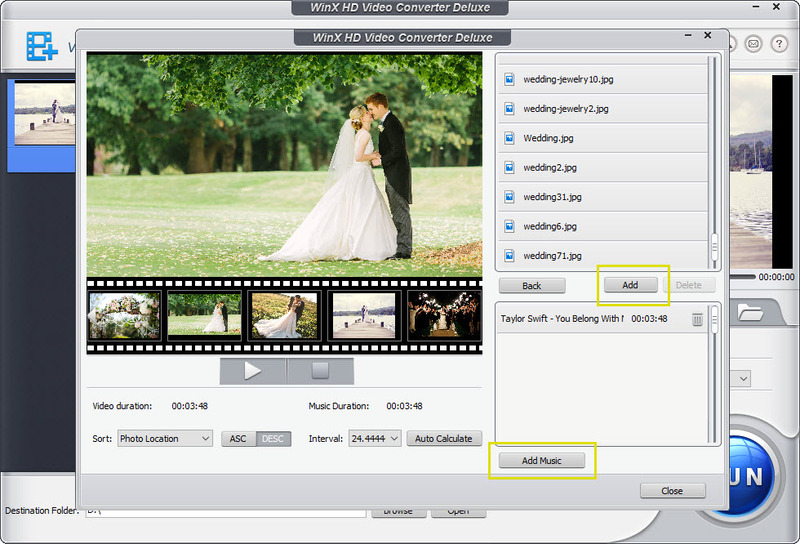 This HD video converter also provides amazing video editing features. You can edit/trim/merge/subtitle videos and have no need of another software for video editing. With WinX HD video converter deluxe, you can also create slideshows from JPG/PNG/BMP photos & images with your favorite background music and you can convert the slideshows to AVI, MP4, MKV, FLV, etc. You can also be innovative to make short movies of your holidays, marriages, big day celebrations, important ceremonies etc. The interface is easy to use and is very user-friendly. For converting HD videos, you just need to drag your video(s) and set the desired output video settings and click convert. Then all you need to do is wait a bit. For adding background music to your photo slideshow, just click "Add Music" in "Edit" after loading your picture folder. The software is fast, delivering 83X faster conversion speed and quality conversion thanks to the hyper-threading technology.